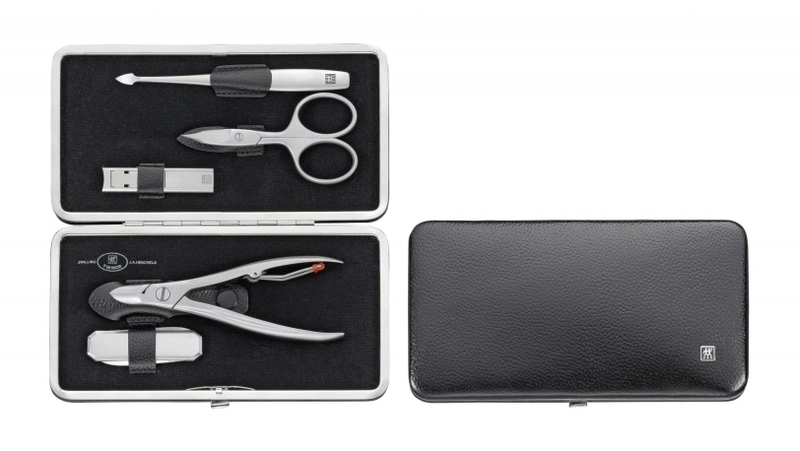 The traditional leather frame case contains a 5-piece manicure set, keeping the instruments safe in the sturdy pocket case. 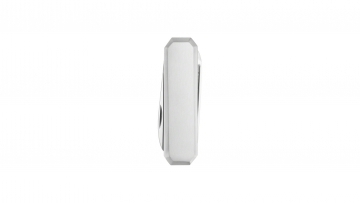 A small pocket knife, a pair of combined nail scissors, cuticle nippers, nail clippers and a pointed nail cleaner are kept securely in place by precisely positioned tabs. 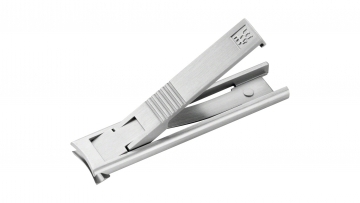 The TWINOX® manicure set has proved itself time and time again over the years owing to the quality of its corrosion-resistant stainless steel implements. Housed in a black pocket case, this set is perfect for using in the home or when you're out and about. The precision and sharpness of the nail care instruments is what immediately strikes you, followed by their attractive design with a fine satin finish. 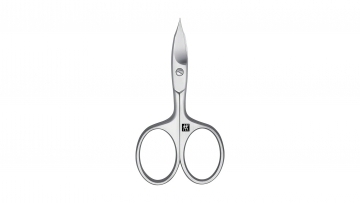 The satin finish corrosion-resistant stainless steel instruments mean that this manicure set is equally suitable for countries in which it is extremely humid. You'll enjoy these easy-to-clean instruments for many years to come even after extensive use. Always have beautifully manicured nails – at home and on your travels – with this compact, easy-to-use set from ZWILLING.